I must say that before March 15th, Harrogate 2010 seemed inaccessible. The reason is very simple: I live in Argentina and work full time on a teacher’s salary. Harrogate is not only 11,259.38 km away (6,996.45 miles) and more than 16 hours away by plane, but has with it a consequent travel cost. However, good things happen to those who try! On March 15th I was notified I had won the Latin American scholarship to attend the conference only a few days ahead. So I plunged into organizing the trip! During the days before the conference I felt really excited about attending the biggest ELT event of the year and kept thinking about what I was going to learn and how I would make the best use of it afterwards. But I also thought about what I was going to do after the day’s sessions were over, so I pictured myself going back to the hotel, dining on my own… as I didn’t know anybody, except for Nik Peachey and Gavin Dudeney, whom I had met in Argentina the previous year. - Although I believed my country’s education system and context was far from ideal, I got to know about other countries´ contexts more closely and I can now understand where we, ourselves, stand and I can focus more readily on what needs to be changed. - I am mostly interested in technology integration in language education so I chose sessions related to technology. I attended amazing sessions on the use of web 2.0 tools, Twitter, digital game-based learning and virtual worlds by young innovative ELT professionals such as Graham Stanley, Burcu Akyol, Shelly Terrell, Ozge Karaoglu, Russell Stannard, Kyle Mawer, Nicky Hockly, Gavin Dudeney and Petra Pointner among others. In fact, all the technology-related sessions were packed! That shows quite an interesting trend in language education. I am happy to be a part of it in trying to contribute to its development and spread, by promoting change at school level and training teachers in technology integration for language teaching and learning. · to tweet during sessions both as a note taking alternative and to share what was happening with other “twitterers” either not at the conference or attending other sessions. - Social life was far from inexistent! That’s definitely also thanks to Twitter. Two hours after arriving in Harrogate I was surrounded by about 20 ELT professionals from around the world… who called me by my name when they saw me! What a nice surprise! I am grateful for the opportunity of making so many new friends who share my passion. - I also attended sessions by well-established personalities and found out why they are so respected. ELT stars are accessible! I shrank at the sight of ELT celebrities, such as Jeremy Harmer, Ken Wilson and Herbert Puchta to name a few, only to discover they were warm and willing to engage in deep conversation about education and life. I was amazed at their honest commitment to the profession and willingness to keep on learning! All in all, there is no doubt that this has been the greatest professional experience in my life so far. And the only way to top that is coming back next year as a presenter. So that’s where I’m directing my energy now! Darren Elliott from The lives of Teachers and Karenne Sylvester from Kalinago English have come up with the nice idea of a sharing a blog post that has been overlooked for some reason. 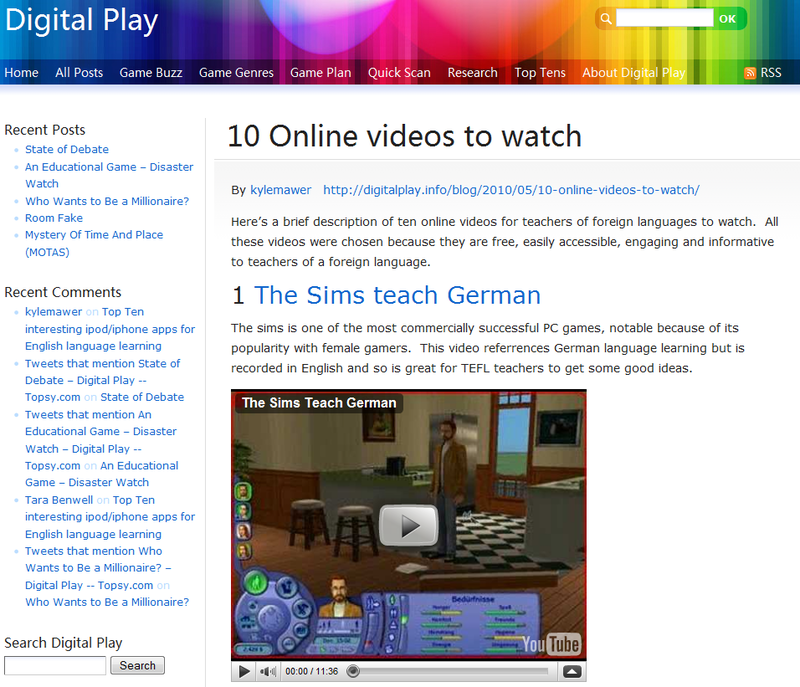 So I have decided to share a blog post from Digital Play, a great blog on Digital Game Based Learning by Graham Stanley and Kyle Mawer. I somehow missed it when it came out and, given my interest in using games to promote language learning, I decided to bring it back to light as I think it is a great collection of videos to introduce teachers to DGBL. I have been following the 10 Blogs Worth Keeping an Eye On initiative with great interest as a way to discover new gems in cyberspace. And it is now my turn thanks to Ozge Karaoglu, who included my blog in her list! I could of course mention the obvious blogs that everybody talks about: those of Jeremy Harmer, Ken Wilson, Larry Ferlazzo, Shelly Terrell, Burcu Akyol and Karenne Sylvester, among others. Now, it’s your turn to nominate if you are on the list!! Spread the word & spread the love!! 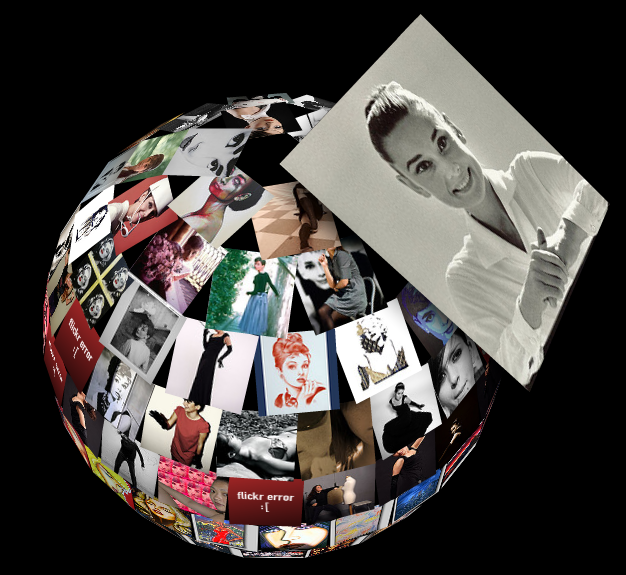 I am positively convinced of the potential of using images to develop language so I have put together a collection of very interesting web 2.0 tools that feed from Flickr, an online photo sharing platform. Flickr CC search allows you to find images within Flickr that are under a Creative Commons (CC) license. This is indeed useful when we teach our students about copyright issues. Tag Galaxy is another creative way of searching images from Flickr. You enter a tag and then narrow your search adding other tags. The search parameters are shown as planets. FlickrPoet generates a visual representation of a poem of phrase. 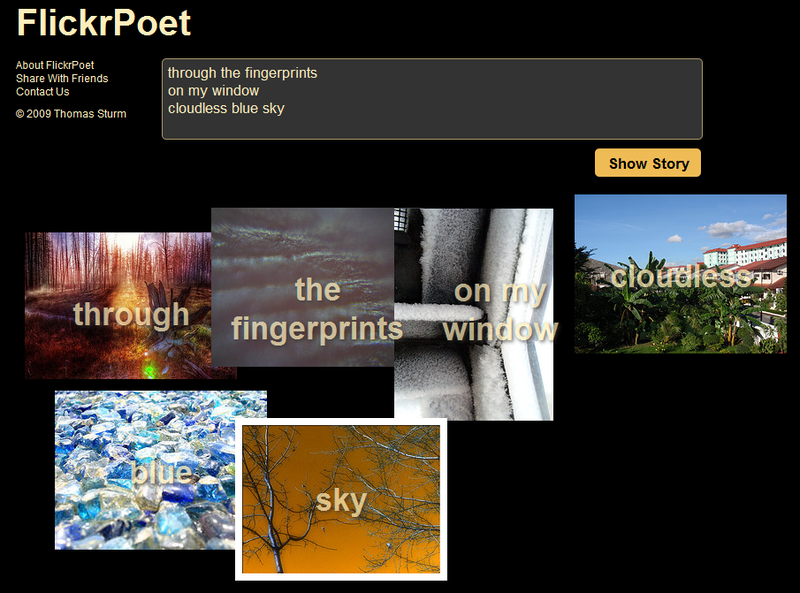 In the example you can see a haiku come to life through related images. Although it is very attractive, there is no possibility of choosing the images. 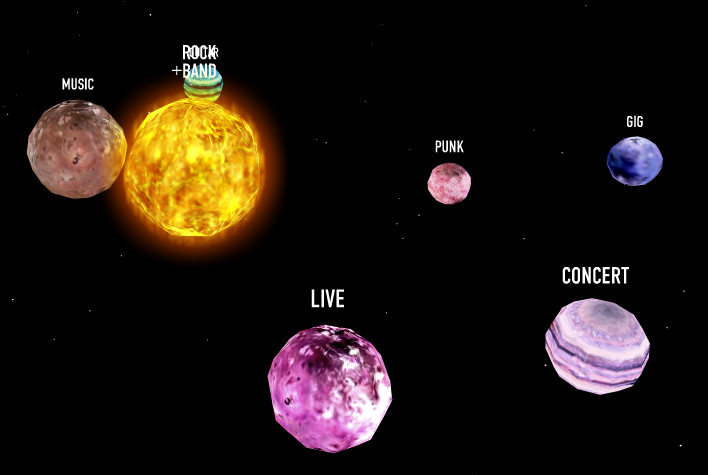 Phrasr is a tool that allows you to illustrate a sentence of your choice with images taken from Flickr. It is useful for working on word and image associations because you are given options and you have to select an image for each word in the sentence. This an example of a sentence created by my daughter Jazmin (so bear with the spelling mistakes). It is about her cat Morgan, who, by the way, looks just like the white cat in a hat!!! 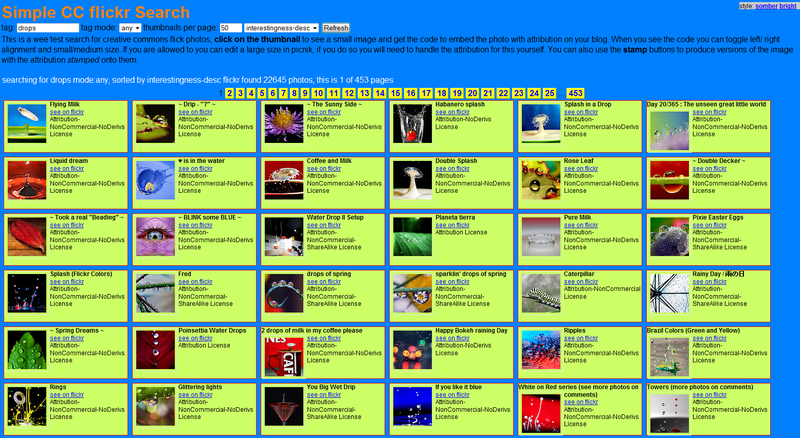 Bookr allows you to create a book from Creative Commons images taken from Flickr. You choose the images and you can write captions under them. They are great for simple vocabulary books or for more sophisticated digital storytelling. The books can then be embedded somewhere else! Bubblr is similar to Bookr but instead of creating a book you create a sliding stream of pictures to which you can add captions in the form of speech bubbles. The final product is also embeddable and looks like this. You can check Russell Stannard's detailed Bubblr tutorial on his great site Teacher Training Videos. Earth Album is an interesting mashup between Flickr and Google maps. You can search images according to geographical location by clicking on any place in the map. Once you have the image strip at the top, when you click on any image you can see a larger size and its information or caption. 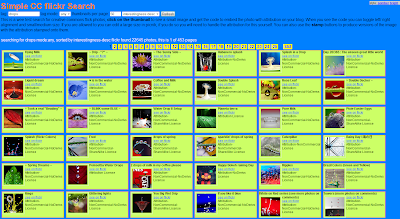 Gickr allows you to create animated gifs based from selected images from Flickr. This is the Puente de la Mujer in Puerto Madero, Argentina. Flickr-based games are abundant and have already been blogged about so I'd rather send you to the original blog post by GeekTonic.com. I hope you have discovered some new tools and ways to use Flickr images. If you have any ideas about other tools or how to use these ones, please leave a comment.